A week ago I went on a tour of Central Park’s northern end, lead by Ken Chaya, maker of the definitive map of the park. 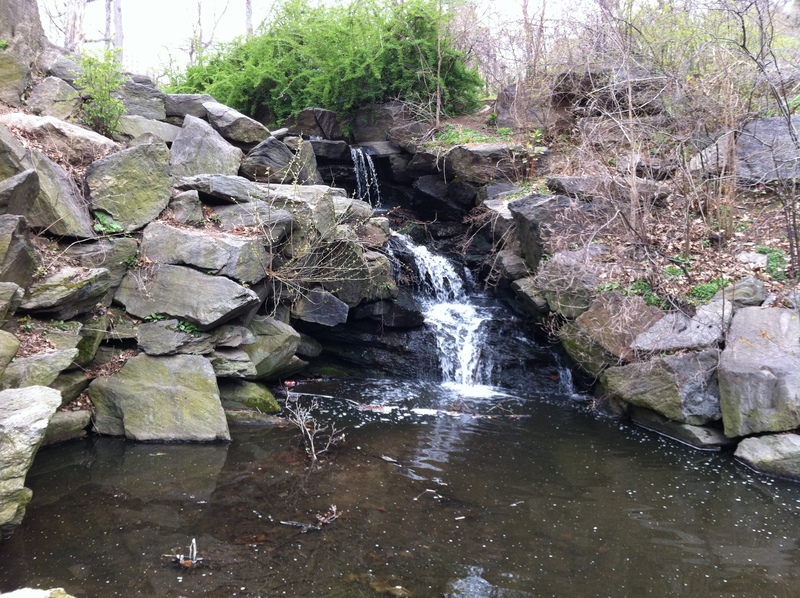 We started at a pond called The Pool at 102nd Street, just inside the park from Central Park West. We soon came across this stunning American Egret. 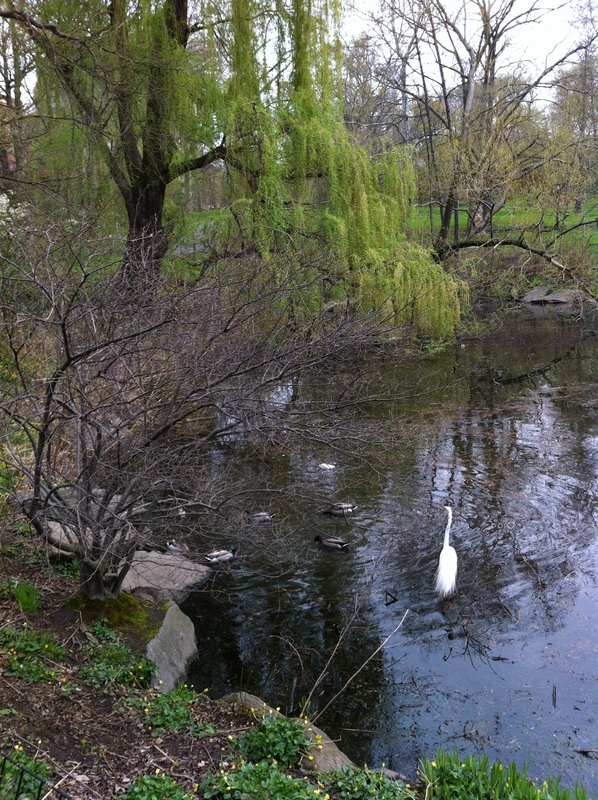 How amazing, a few yards inside a park in the nation’s largest city, and here is a pond that an egret somehow decided to call home, even if only for a short stop on a migration. We made our way eastward into The Ravine, where this municipal-water fed stream runs over a few waterfalls, likely exaggerating the natural water flow that was here before Olmstead and Vaux had their way. 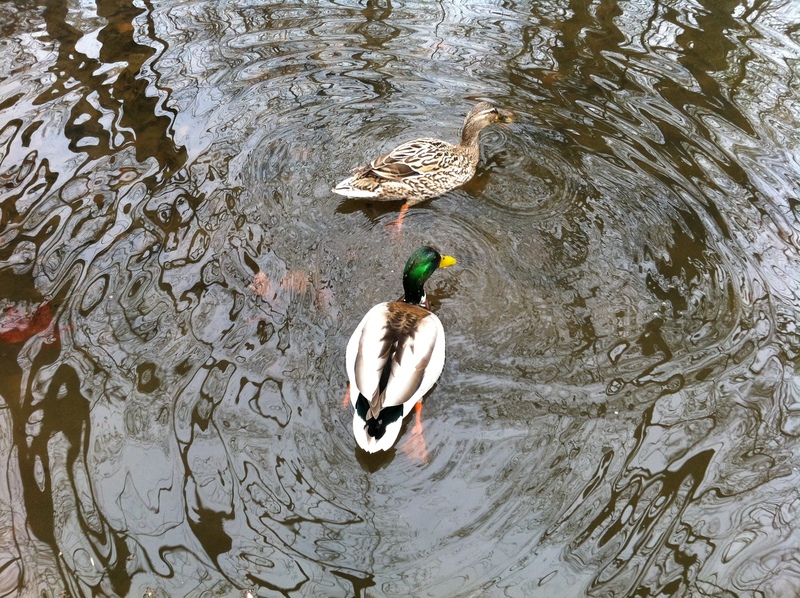 Here were some Mallard ducks on the stream down the Ravine. The animals were very fearless of my standing within a few feet, which surprised me. The area just east of the loop road here is a muddy, boggy area, with a very unusual feel for NYC. An hour or so later, time for brunch … for the ducks, but not to mention the humans had to run and get crepes over on Columbus! 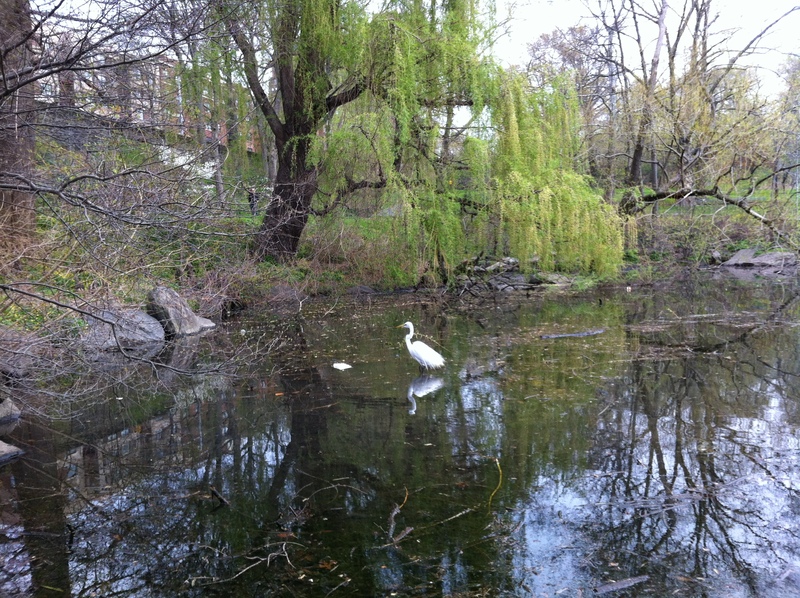 This entry was posted in photography and tagged Central Park, duck, egret, North Woods, pond, ravine, water, waterfall. Bookmark the permalink. And thanks for the link to the map! I didn’t know about it, but I think I’ll order a copy.